Try ethical products produced by sustainable process. It feels better on skin too even if you are not suffering from allergies or chemical sensitivities. 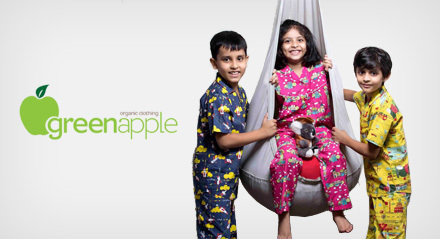 Most preferred fabric for Kids and Moms to give them a comfortable and allergy free clothing option. Don’t get caught in a sweat trap! Cotton breathes better than oil-based synthetic fabrics like polyester. Global Organic Textile Standard defines the standard practice to produce Ethical Clothing. 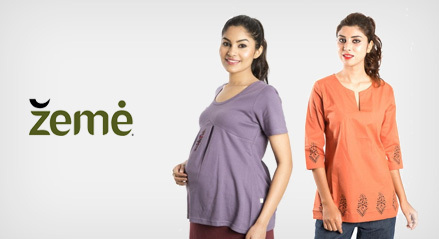 We ensure that the clothing brands at Earthen Store are all GOTS certified and they use non-toxic dyes too; beside following fair trade practices. All clothing brands at Earthen Store are working hard to make sure we act as a responsible citizen. Exploitation of workers, child labours and environmental pollution make this industry world’s 2nd largest polluting one. At Earthen Store we bring responsible and ethical producers to fight with the above issues and bring options to our customers to join the battle to fight against the evil. Production of Organic Cotton uses lower carbon due to lesser fuel and energy consumption; even it goes through a chemical free production process and also prevents water contamination to a large scale. The health of the workers is also not compromised. India is 2nd largest cotton producer in the world. So organically cultivated cotton clothing patronage helps consumer to become a responsible consumer and citizen; one that is fully aware about everyone’s responsibility to help & preserve a sustainable environment and to provide high yield. One’s fashion statement starts defining his or her image and it becomes an integral part of lifestyle. Often time we do not realise the actual price that we pay for our fashion. Today we would like to discuss some of the facts and figures to see if it worth looking for who make our clothes and how it is manufactured. The ability to bring nature into life has been an ambition that many have strived for over the centuries. As a fact we the humans love the natural and organic appeal of elements that make us feel calm. In recent years, the growing awareness about the dwindling of the Earth’s resources has made it even more evident to bring nature into our life as essential. This organic cotton t-shirt or top with a blend of both style and comfort is all we can ask for. When you want to buy a t-shirt or a top for casual or office ware look for GOTS Certified, 100% Organic Cotton, Eco-Friendly and used EZO free dyes for printing (if any).